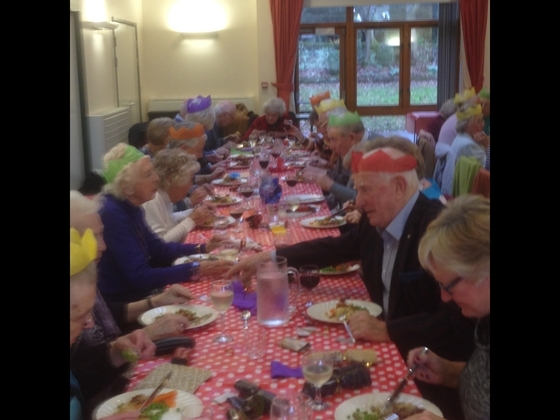 The latest in our regular community lunches had a festive feel - crackers and a glass of wine to accompany the meal - followed by chocolates and stolen. A great time was had by all! These lunches have become regular feature of our outreach and pastoral effort. We hate to think of people in our community being lonely and eating meal after meal on their own. All are welcome - no charge - the meals rely on donations. We can organise lifts and manage wheelchairs.